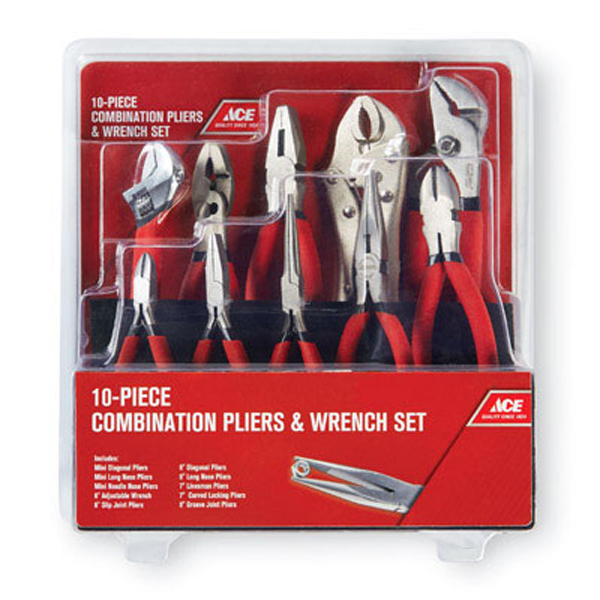 With a complete assortment of essential pliers, the 10-pc. Pliers Set is ready for any job. Feature most popular and frequently used pliers. Includes convenient storage rack. Drop forged steel for durability, heat treated with fully polished. Double dipped grip handle for comfort. Hardened cutting edges for extra-tough and easy cutting.